29 November 1966 First flight. 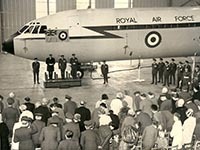 21 December 1966 Handover to RAF 10 Squadron as XR810. 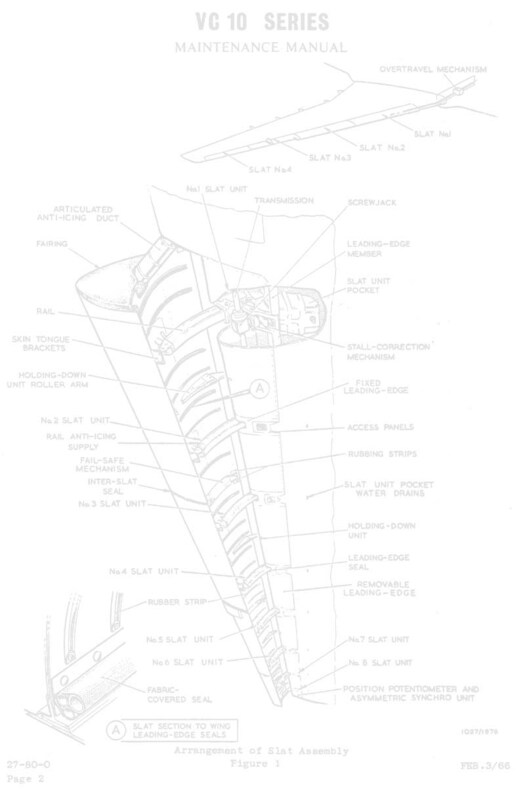 11 November 1968 Named 'David Lord VC', scroll unveiled by David Lord's brother, Wg Cdr (Retd) F.E. Lord, in a ceremony at RAF Brize Norton. 4-11 May 1969 Daily Mail Transatlantic Air Race, XR810 competed but AQM Sgt(W) Heather Robinson was disqualified on a technicality. Otherwise 10 Squadron could have won in the subsonic category. 18-19 November 1991 Flown to Damascus via RAF Akrotiri to collect Terry Waite who had spent over four years in held hostage in Lebanon. Returned via RAF Akrotiri to RAF Lyneham. 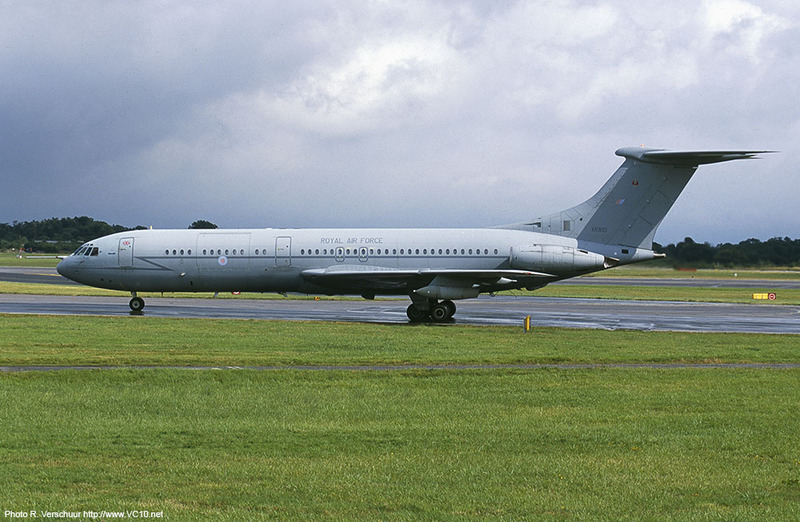 21 December 1994 First flight after conversion to C1K tanker/transport. 4 January 1995 Delivery to 10 Squadron as C1K. 14 October 2005 Transferred to 101 Squadron upon disbandment of 10 Squadron. 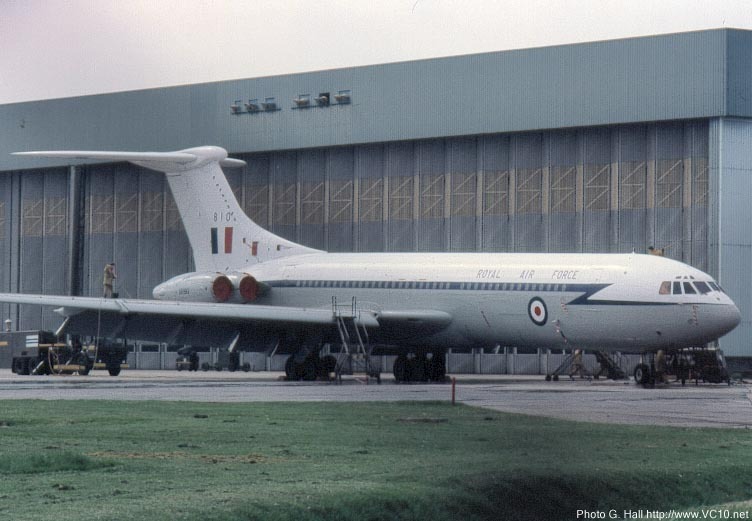 November 2005 Aircraft withdrawn from service, flown to RAF St. Athan on its final flight. Total time: 38881 hours. 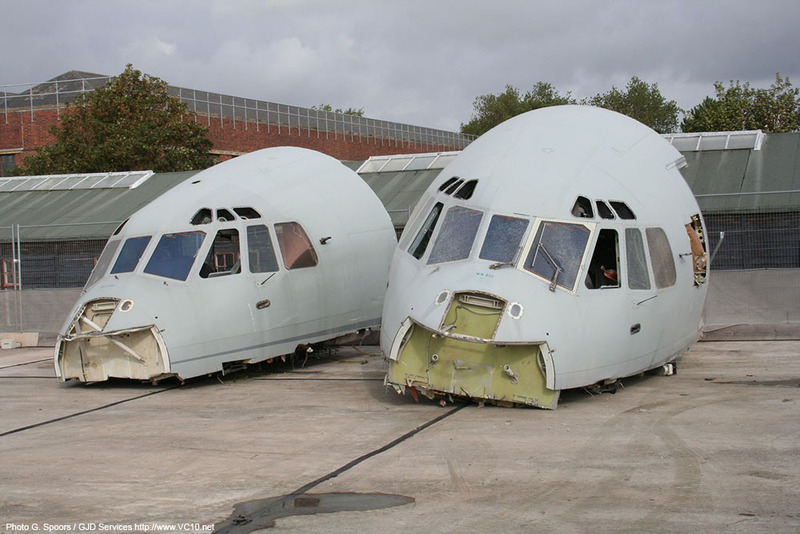 2006 Airframe scrapped at St. Athan. 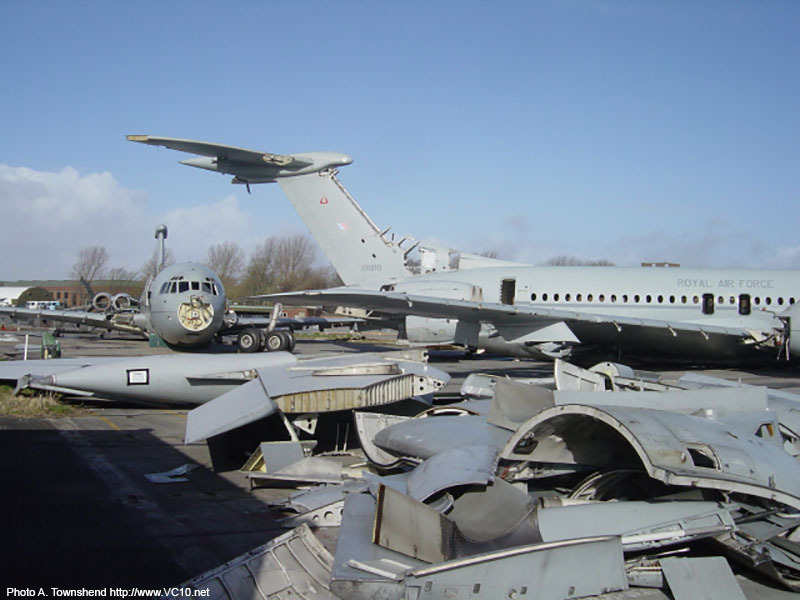 2012 The flight deck of this VC10 survived in a scrapyard in Hampshire until it was cut up in 2012. 1. 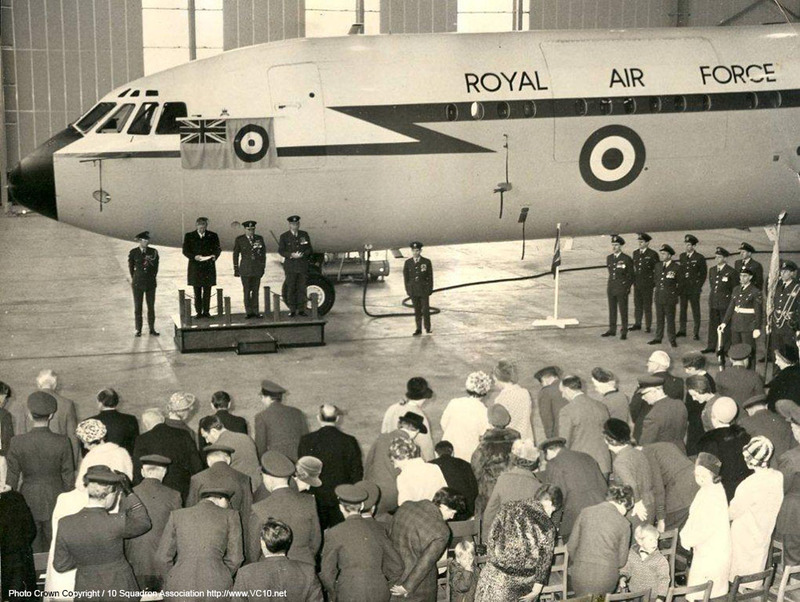 At the naming ceremony on 11 November 1968 the scroll on XR810 was unveiled in front of a large audience. 2. 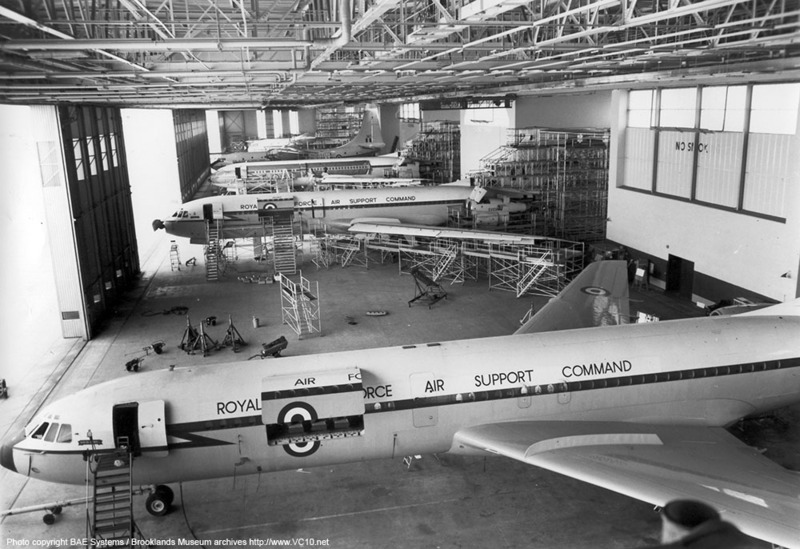 This photo shows XR810 in Brize Norton's Base Hangar with two other VC10s, a Belfast and a Hercules. 3. On 19 September 1970 XR810 was at RAF Benson for the 'At Home' event. 4. XR810 seen in front of the hangar at Brize. 1. XR810 seen in front of the hangar at Brize. 2. XR810 taxiing at Manchester airport. 3. In February 2006 this is how XR810 ended up at St. Athan. 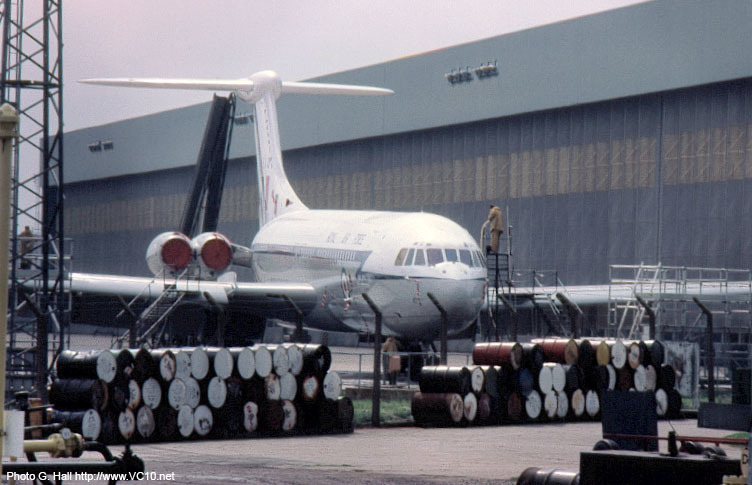 Stripped of spares to keep the other VC10s in the air. 4. 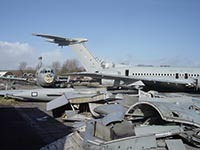 The cockpits of XR810 (left) and ZD230 moved to a scrapyard in Hampshire together with the flightdeck from ZD240. They were all cut up in 2012. RAF White over grey scheme with large blue lightning flash down the fuselage. Initially "Royal Air Force Transport Command" titles and roundels on the fuselage, later this became "Royal Air Force Air Support Command" titles. 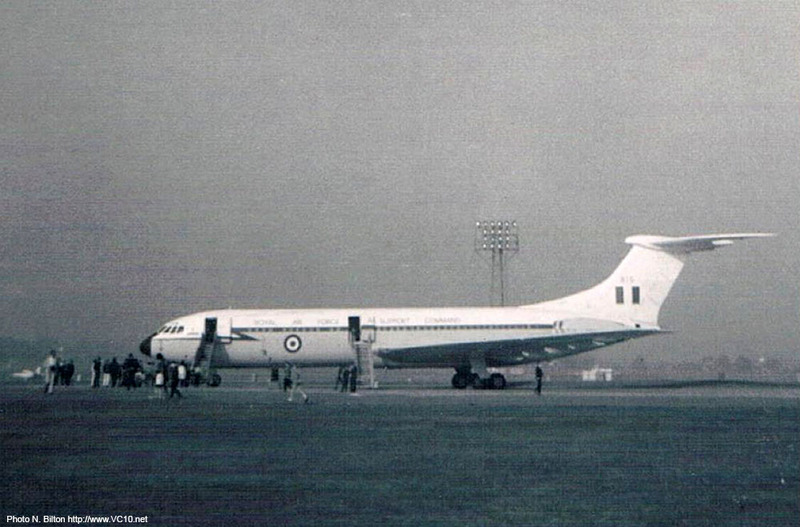 Titles changed to just "Royal Air Force" in 1972. RAF All over grey scheme with large lightning flash down the side of the fuselage. Toned down roundels and fin flashes.